This stone has the power is to support your inner development and progress on a spiritual path. Its memory enhancing properties strengthen your ability to study, research, and memorize information. 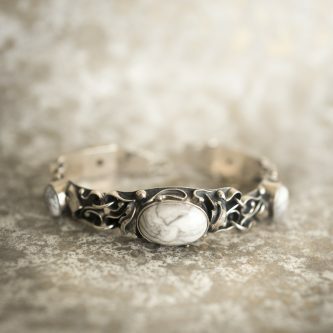 Connected to mental clarity, Howlite aids in reasoning, observation, and information recall. This stone is an incredible eliminator of pain and stress in the physical body. It can help to balance calcium absorption and distribution, and its ability to regenerate the brain makes it a perfect stone for anyone with a brain injury or stroke.